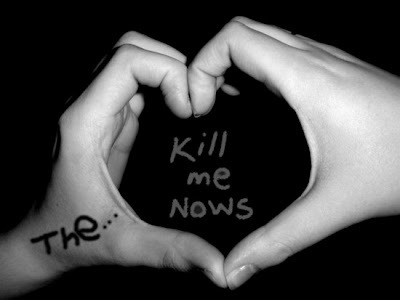 Do me a favor please kill me! You achieved what you set to do..
could see you watching me struggle. you rip through vein and blood. what do i do to move ahead? what is that I asked of you? Good one viji. As i said earlier...it flows out of you. A good one!!! I am probably in songwriting mode, hence an instant tune pops into my head. Pardon me for that. A nice spot you have got here!!! @Viji - Oh, thank you!!! I am glad you like my spot. Umm, your poems can be musical as well. If I come with a tune, I shall inform you. And, yea, most people start following a blog and don't think about checking out the old posts. I am different. Hence, I replied to the older ones here. Excellent Viji. Your imagery is wonderful. I'm glad you stopped. Now I have found You! do you have a tune for this? Loved the piece, very nicely executed is what i would say..
and i am following you, for further similar pieces in future..